My husband's go-to drink of choice is a good old fashioned Captain & Coke. In fact, we always have a bottle in the freezer. Not that he kicks back with a cocktail every evening. In fact, we have had the very same bottle of Captain Morgan in our freezer since we were married almost 2 years ago. We also have a rather larger bottle of Captain in the cupboard leftover from the reception from the above mentioned wedding. Needless to say, I am always look for some ways to help use up a little of that rum. One day it hit me! 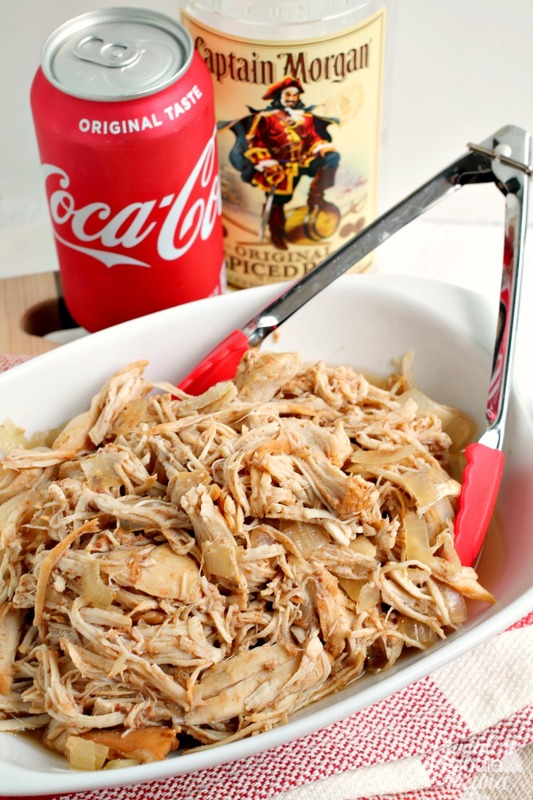 Slow Cooker Captain & Coke Pulled Chicken! Yes! 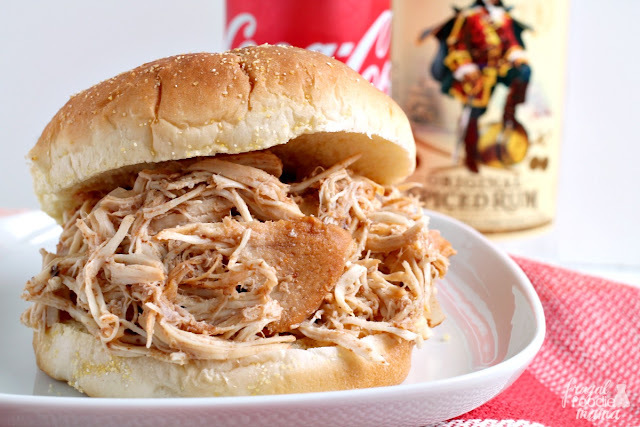 Trim the chicken breasts of excess fat and place into the slow cooker. You can use frozen chicken breasts in this recipe. Place the chopped onion over the chicken. 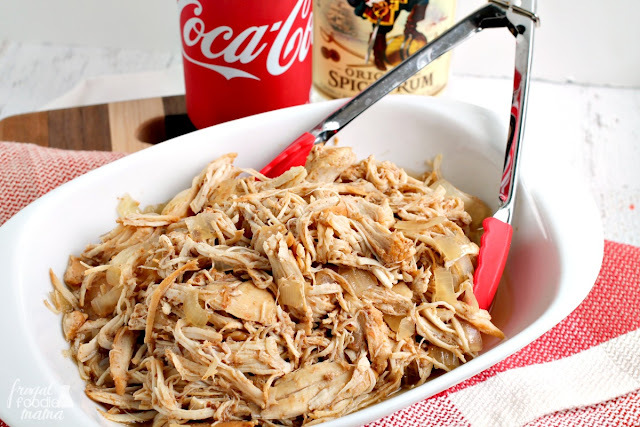 In a small bowl whisk together the Coke, rum, ketchup, and brown sugar. Pour over top of the chicken and onions. Before serving, use two forks to shred the chicken. 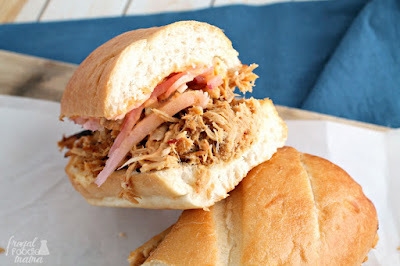 You can do this right in the slow cooker if you wish. Or you can take out the chicken, shred it on a cutting board, and then stir it back in. Give it a good stir and cook on low for another 30-60 minutes. 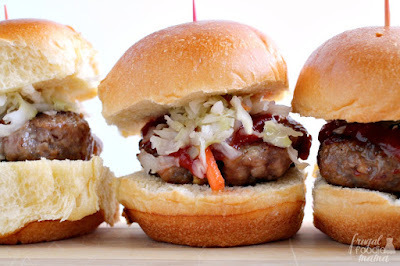 Serve on your favorite sandwich buns with whichever toppings you prefer. Or none at all! 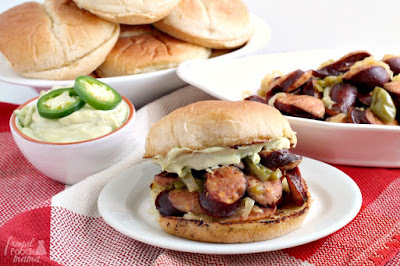 This sandwich was perfect and flavorful sans any condiments or toppings. Oh my hubby is going to love me if I make this. 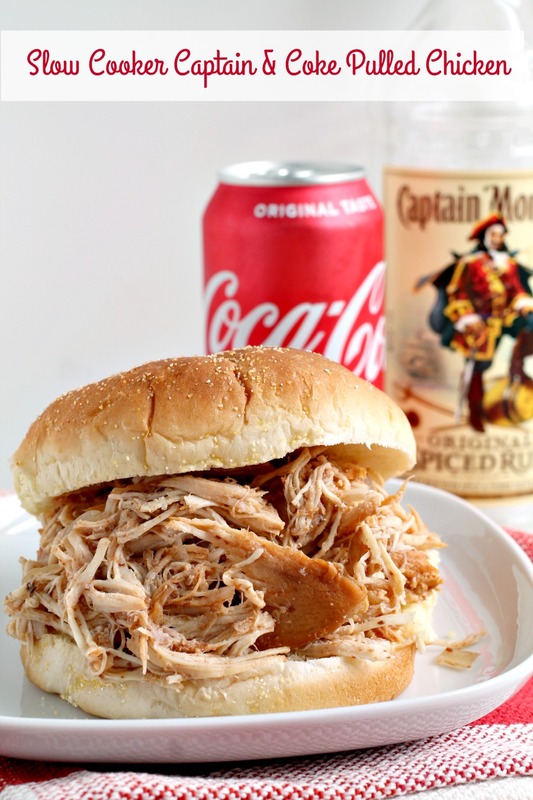 love pulled chicken.. and this looks super YUM. pinned.